Measuring wind at highest precision. Ammonit Wind Tunnel GmbH has been founded by Ammonit Measurement GmbH and WIND-consult GmbH to pool competences in the field of flow measurement and meteorological measurement technology. Ammonit Wind Tunnel is headquartered in Bargeshagen near Rostock on the coast of the Baltic Sea. 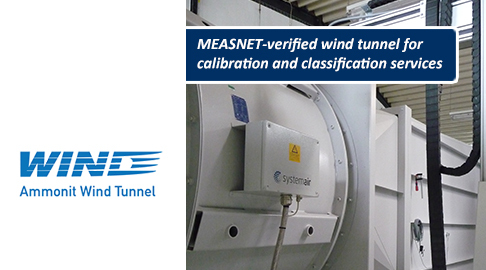 The company operates a wind tunnel for wind sensor calibration and testing. The wind tunnel design allows even calibrating large sensors, such as ultrasonic anemometers. 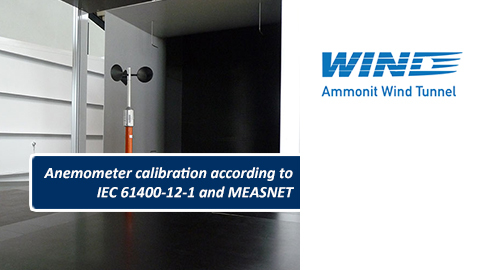 We look forward to calibrate your anemometers in our new wind tunnel!